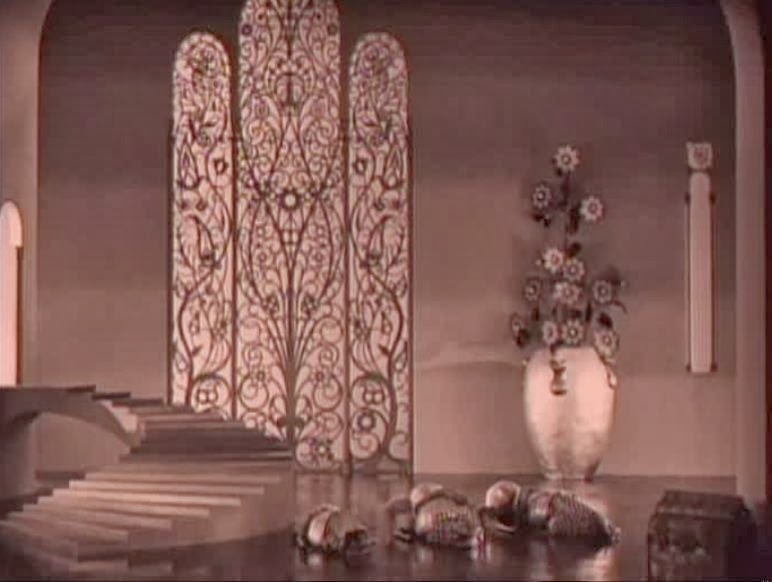 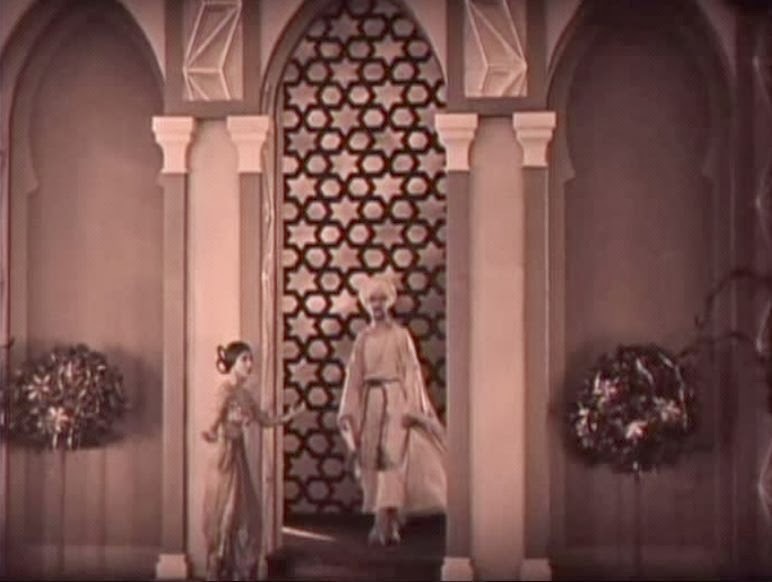 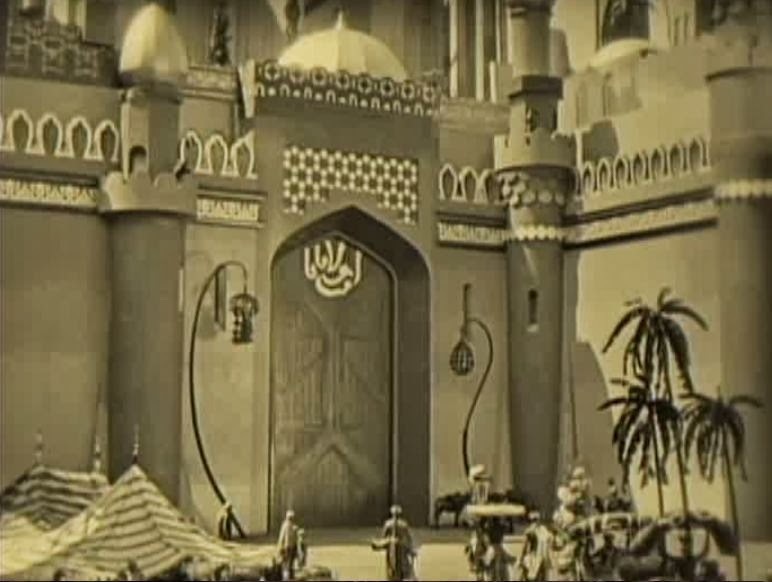 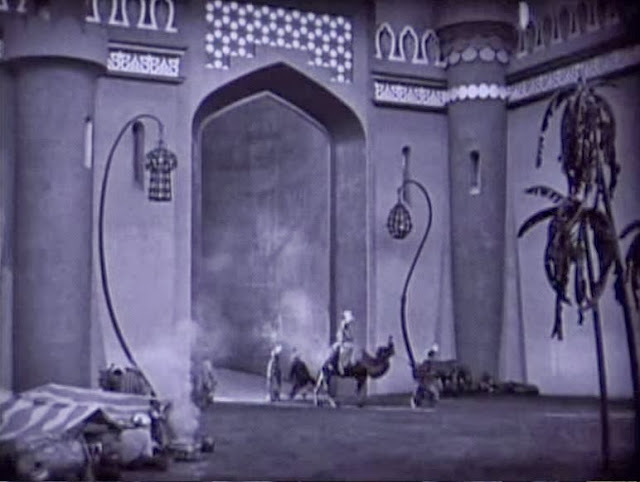 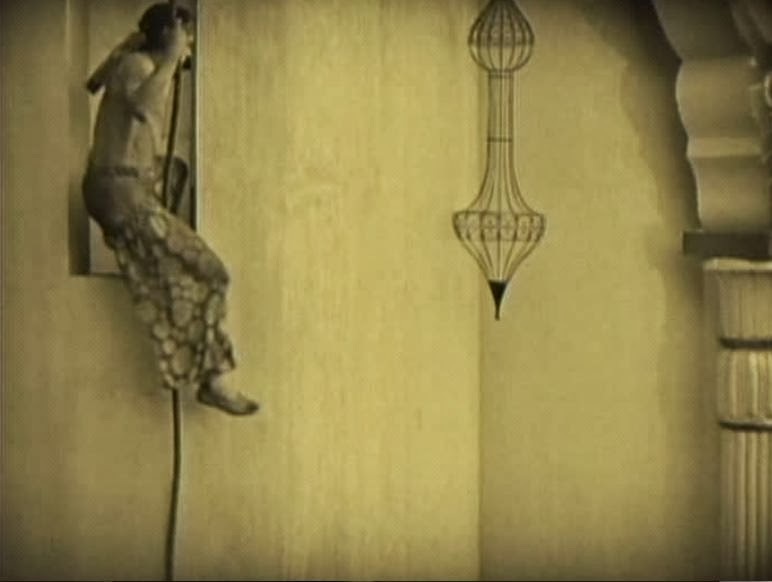 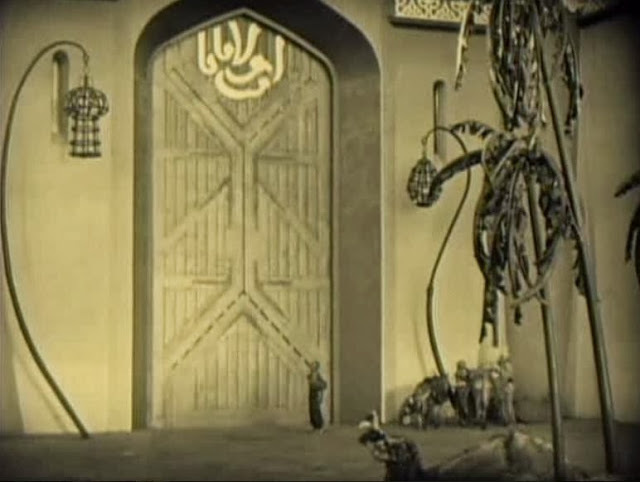 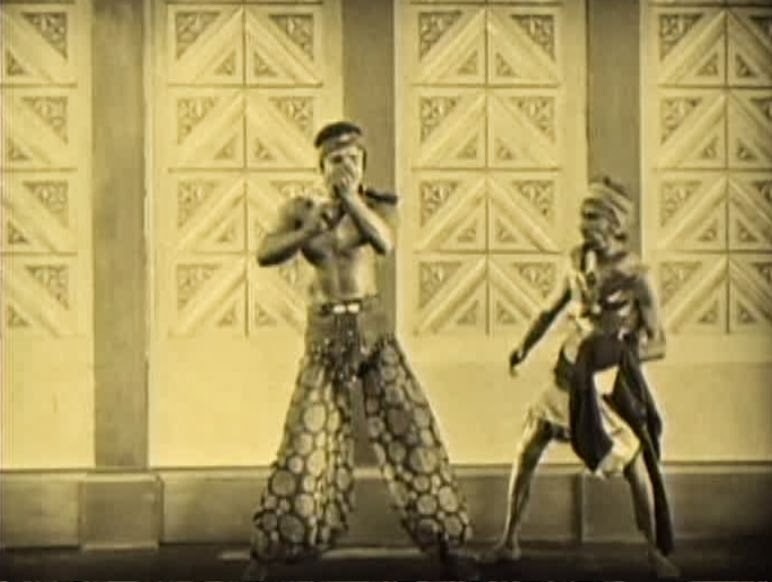 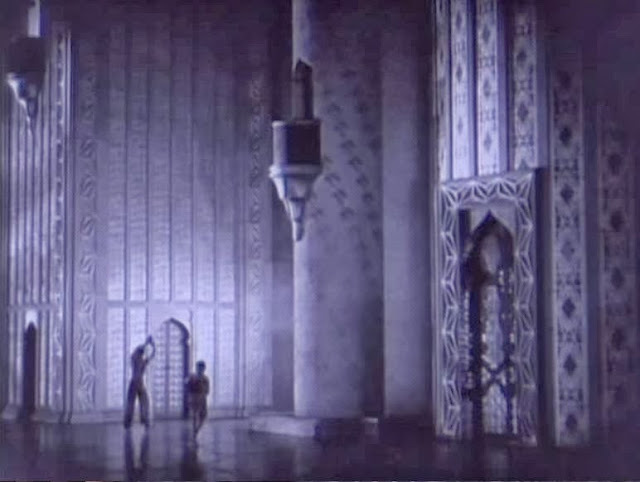 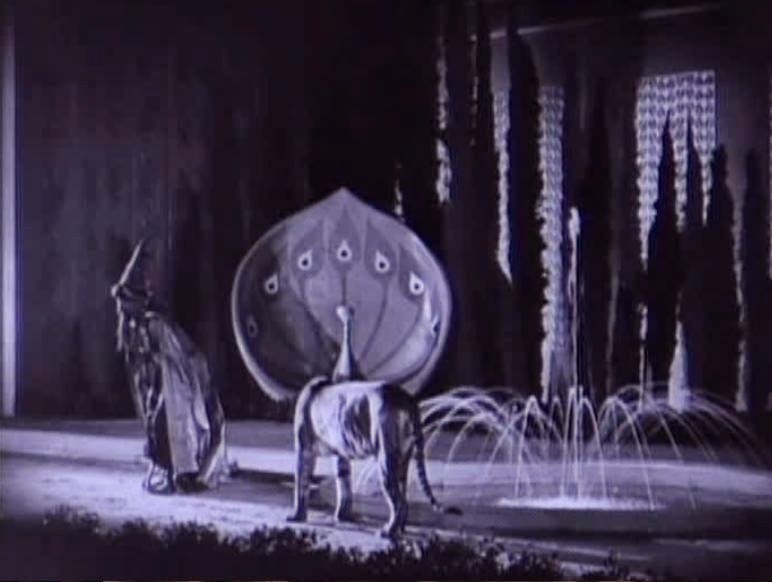 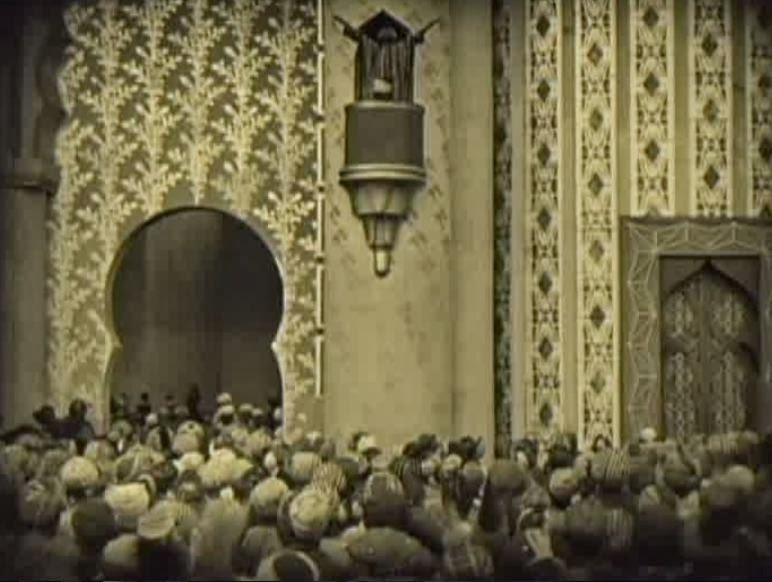 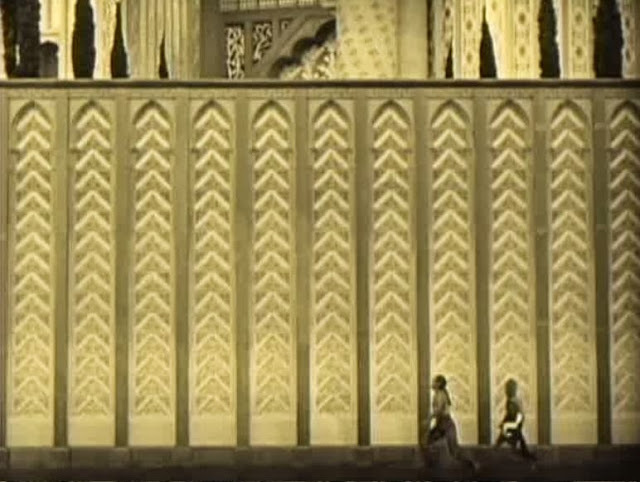 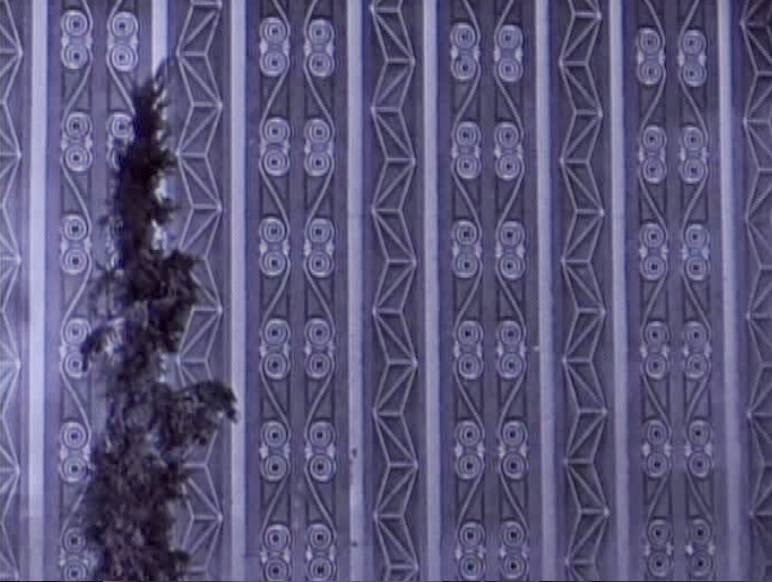 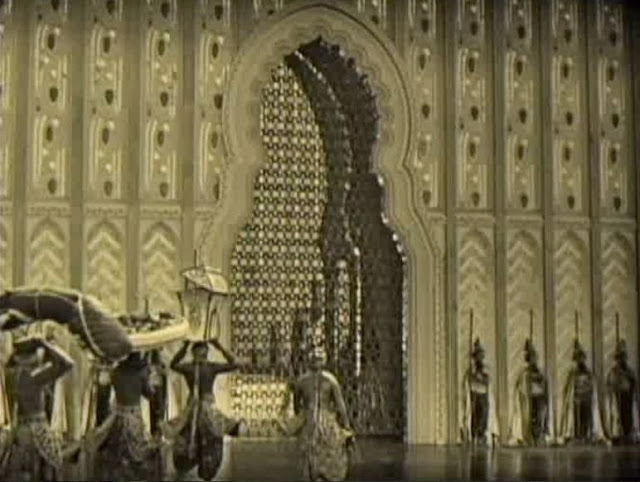 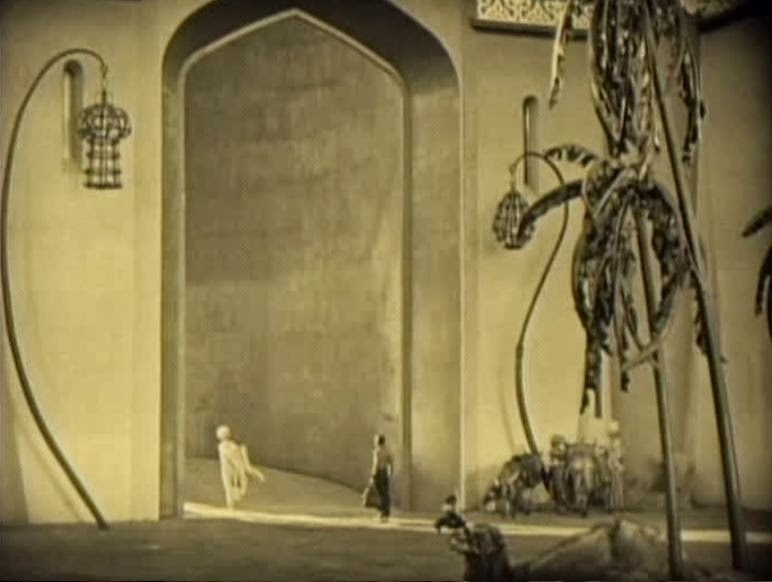 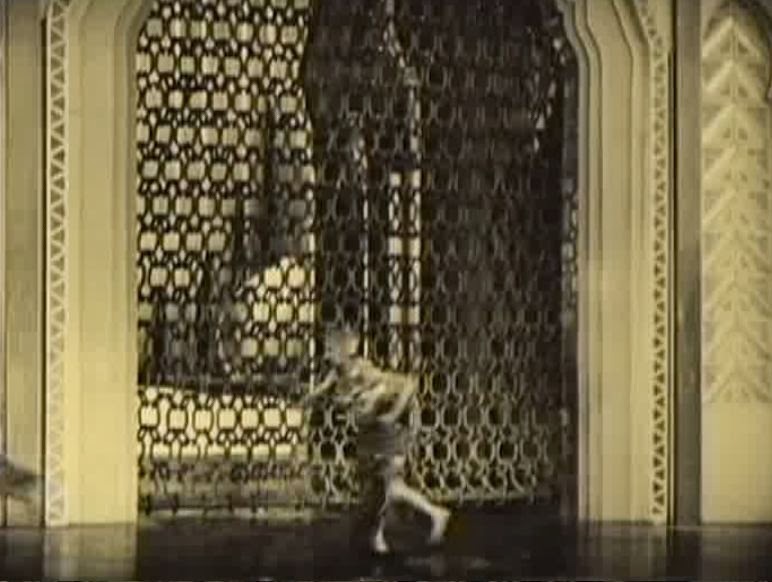 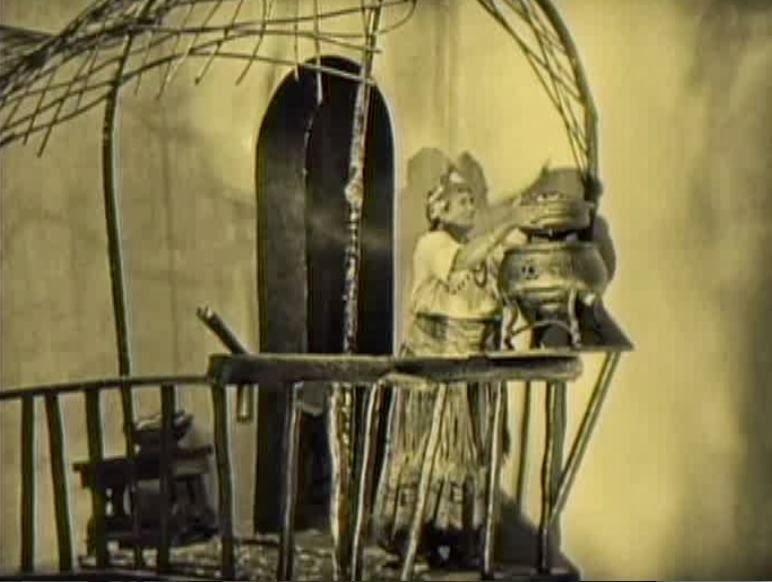 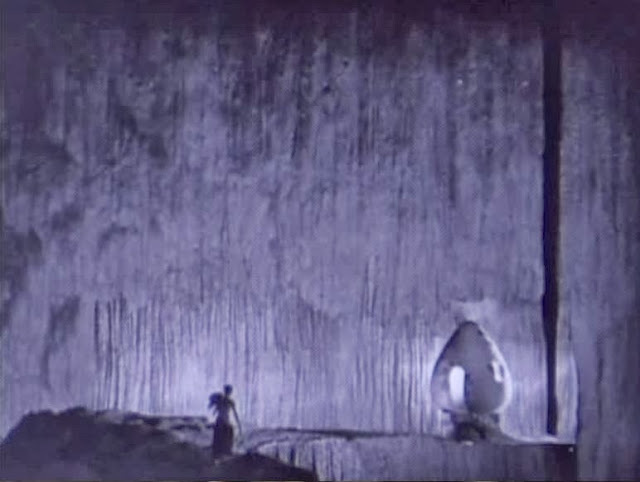 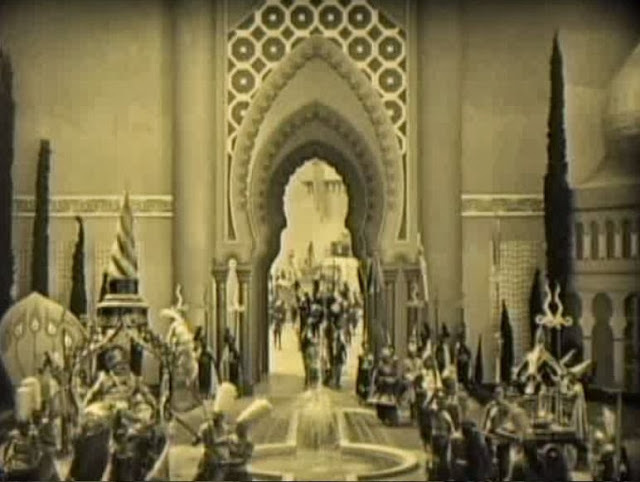 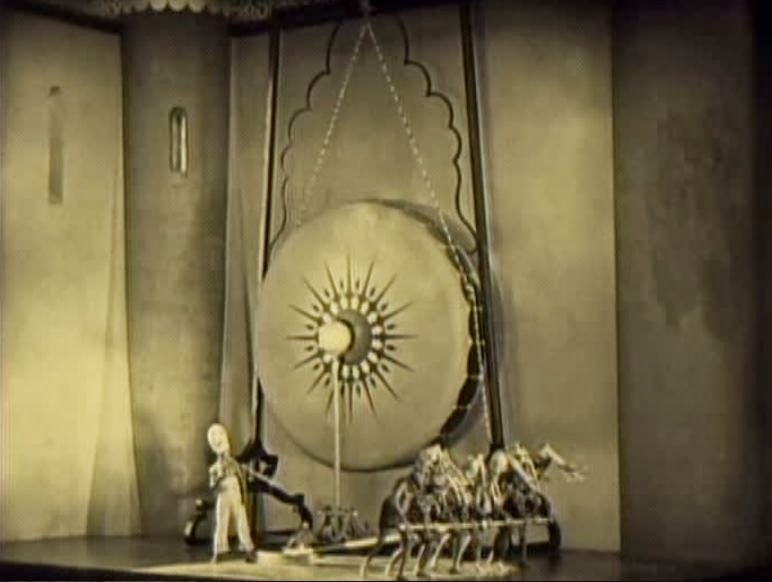 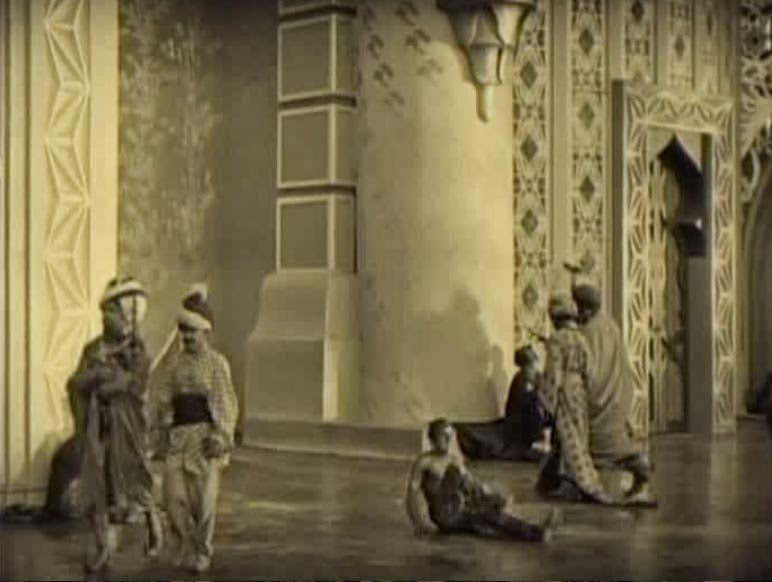 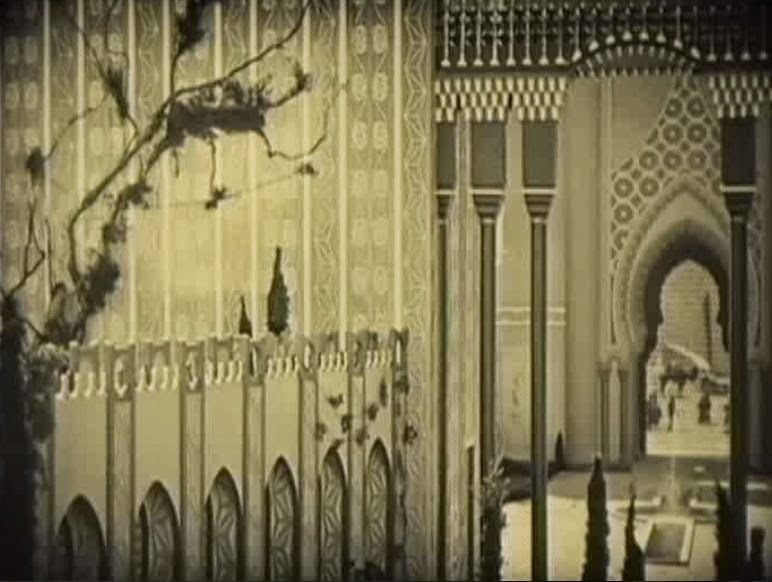 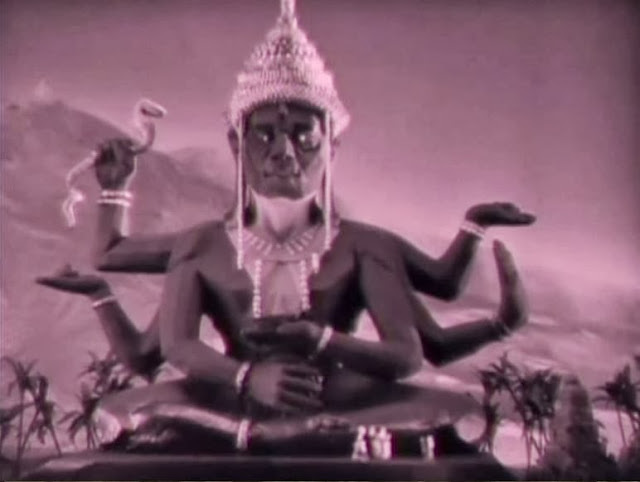 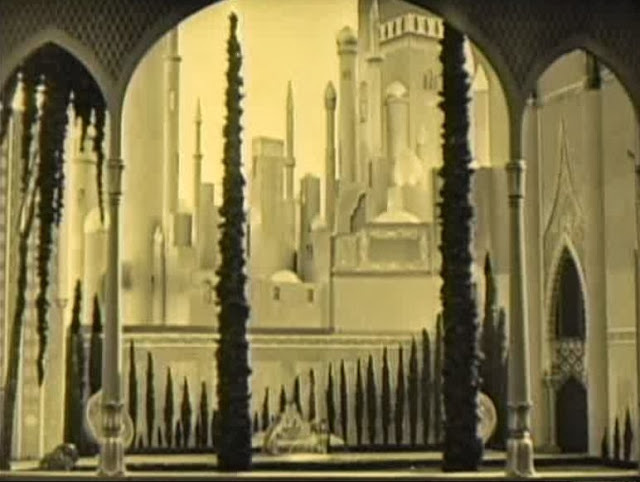 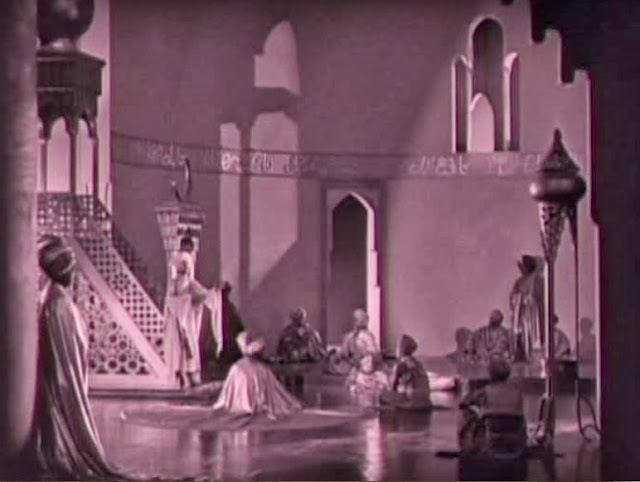 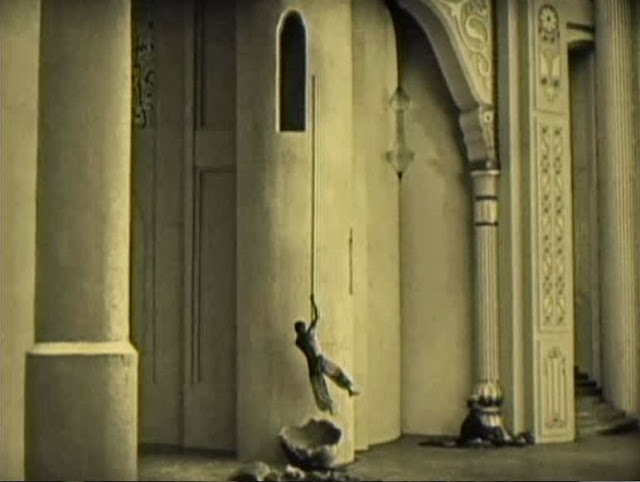 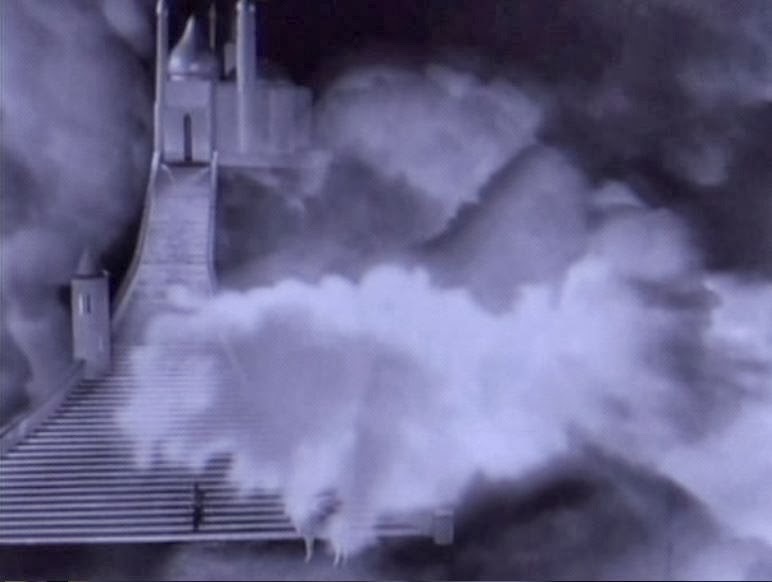 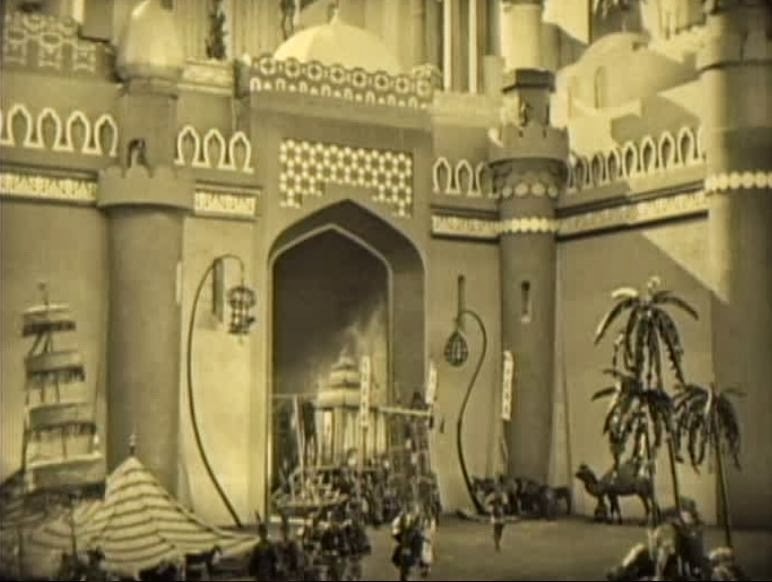 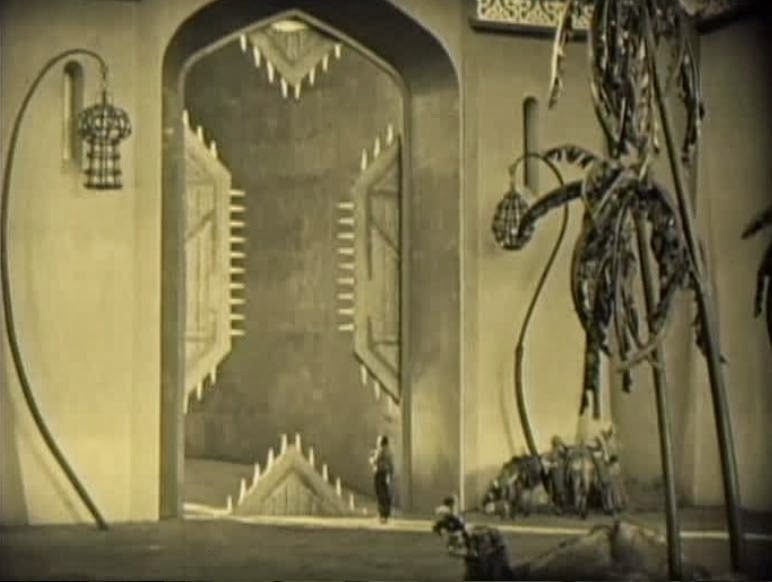 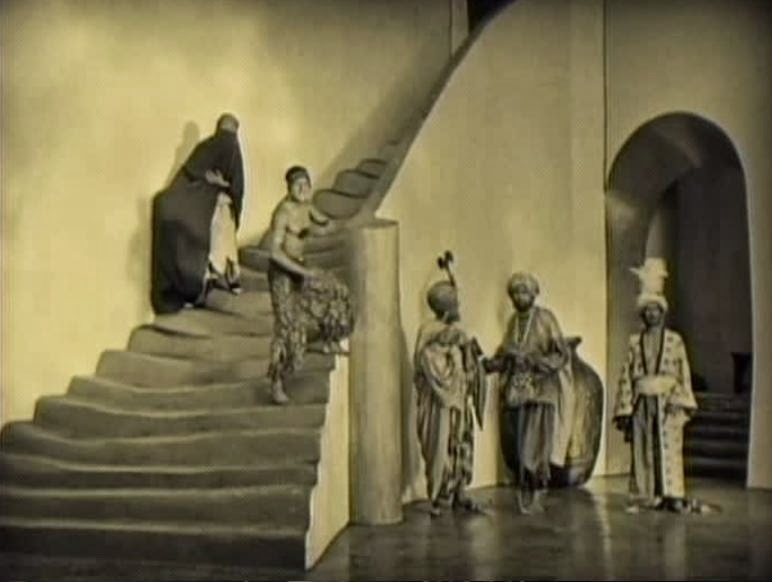 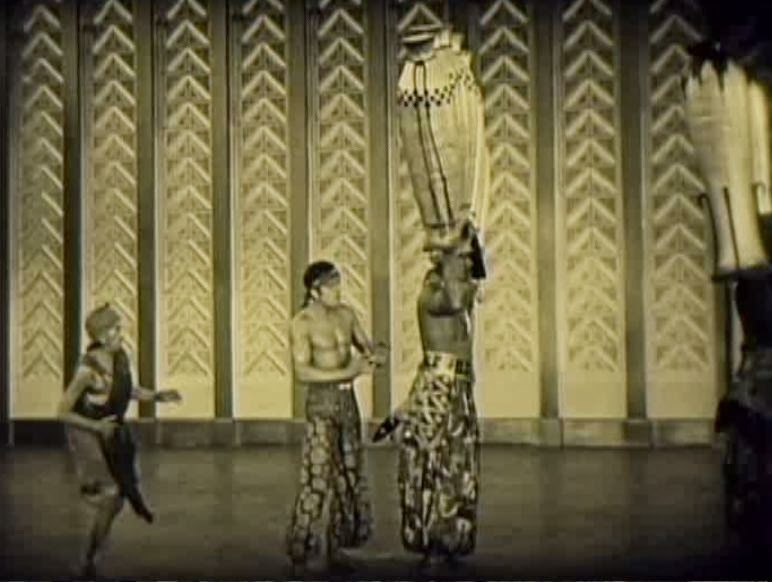 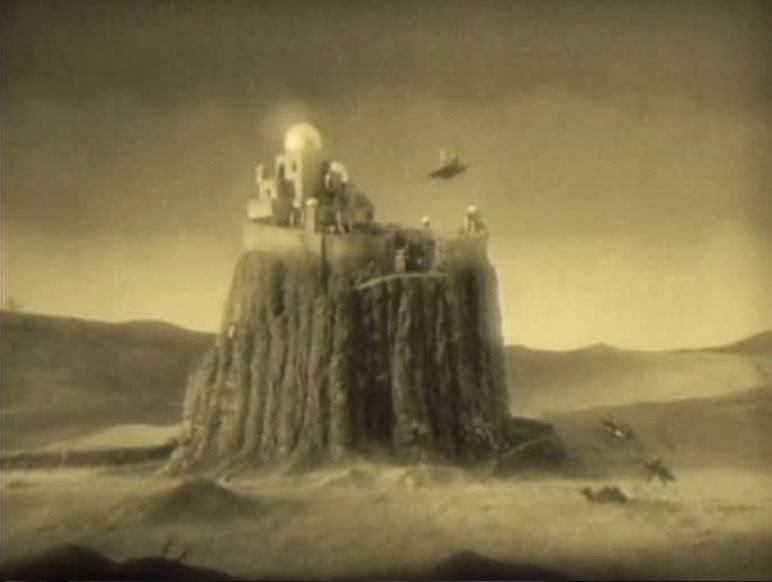 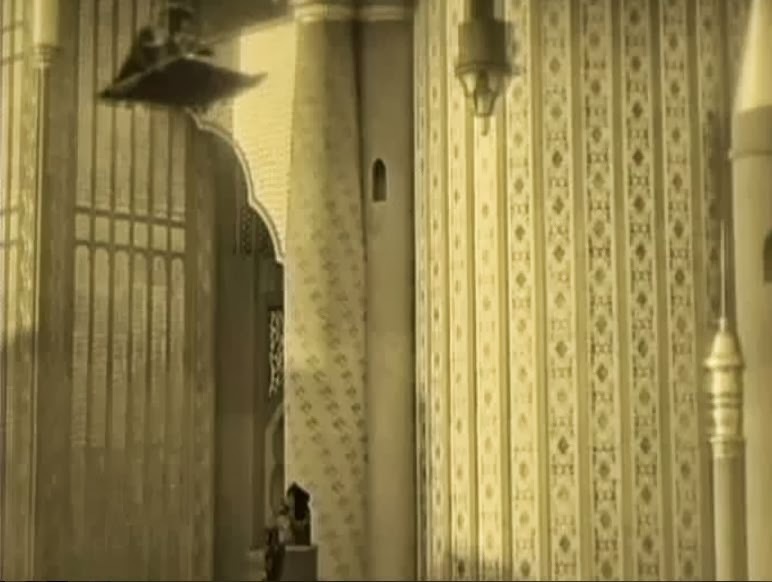 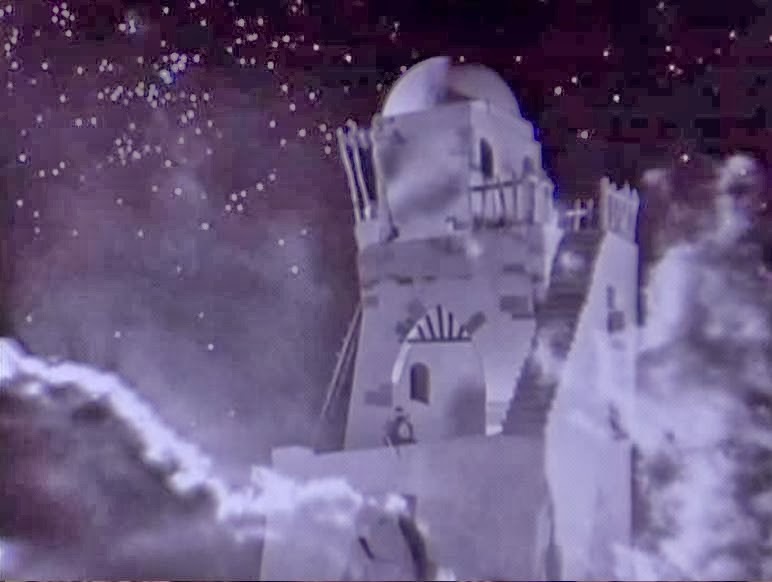 I've never been to Bagdad, but I suspect the art director William Menzies took a few liberties with his busy & brilliant evocation of the tale from One Thousand and One Nights. 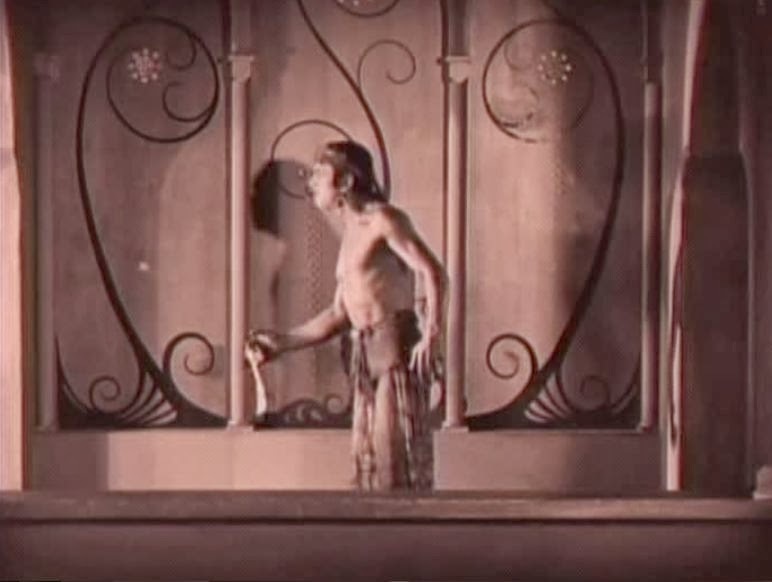 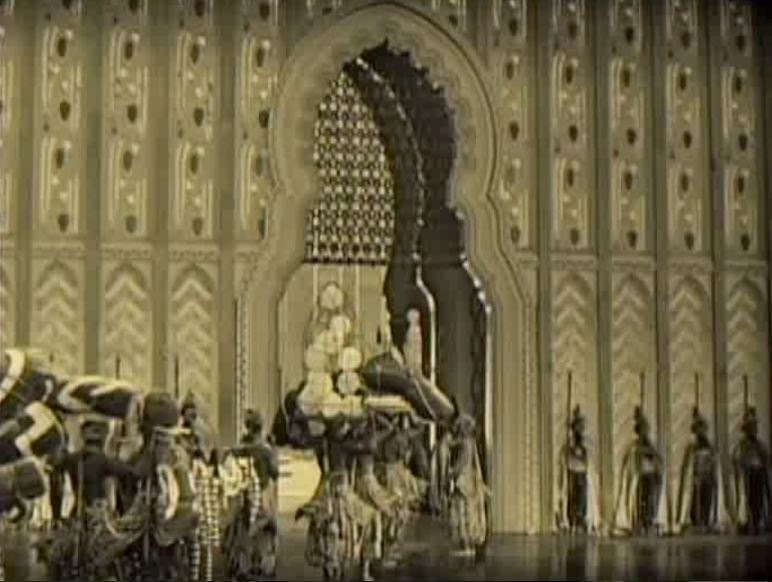 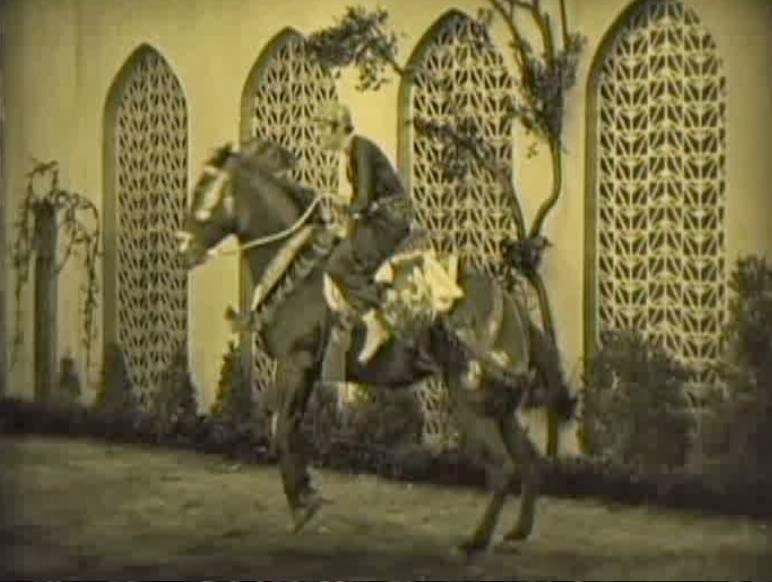 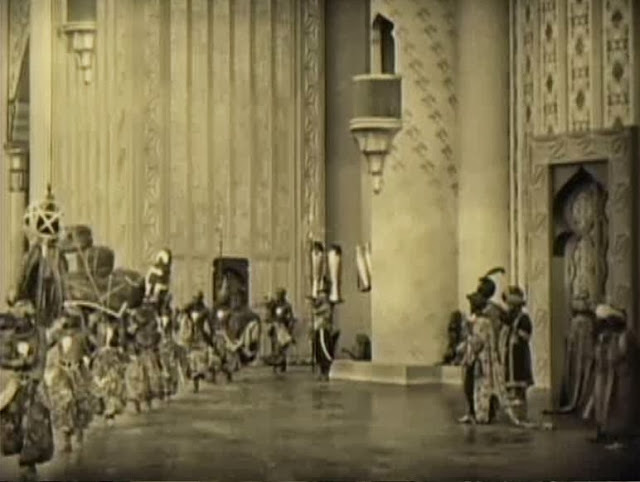 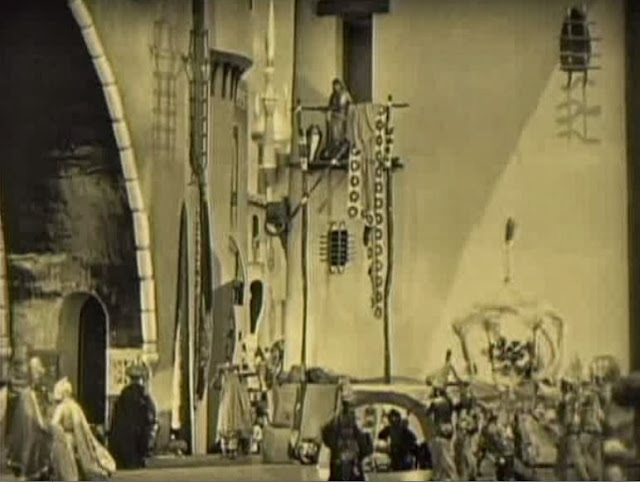 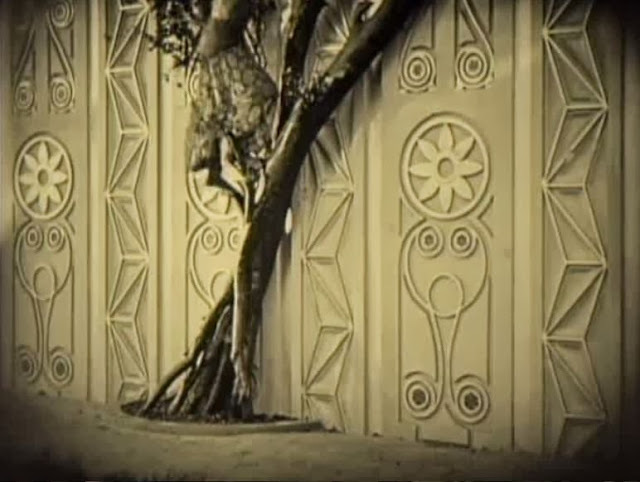 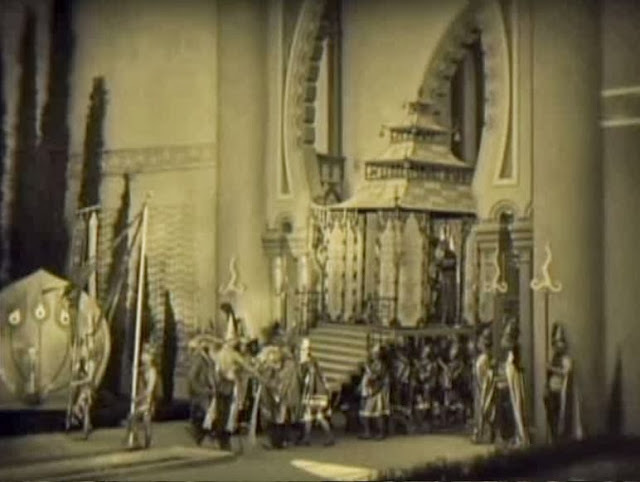 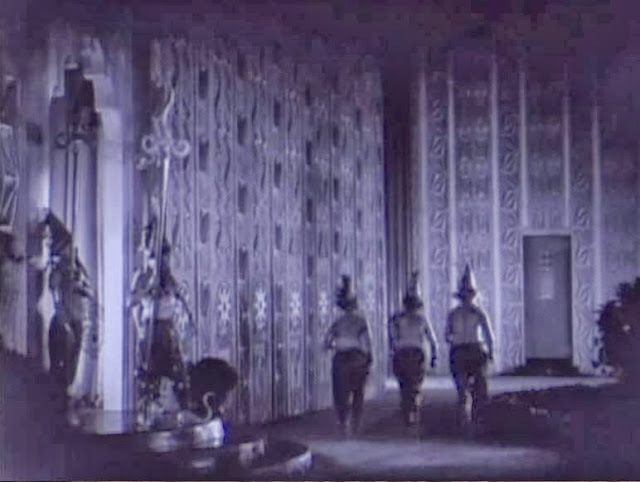 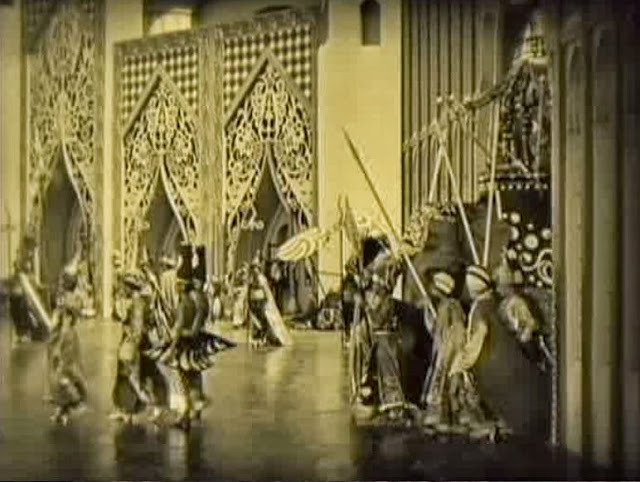 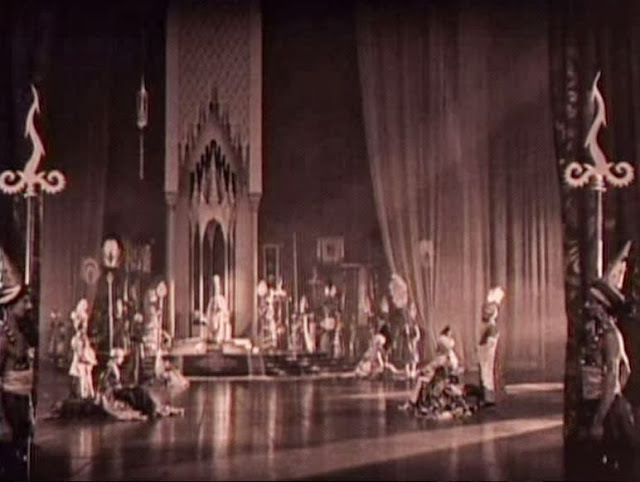 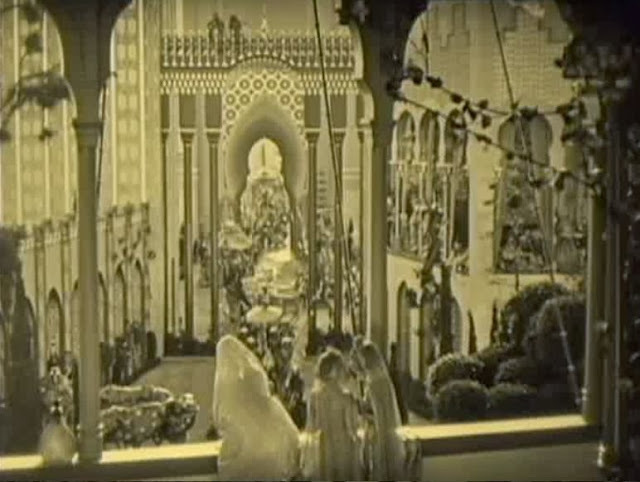 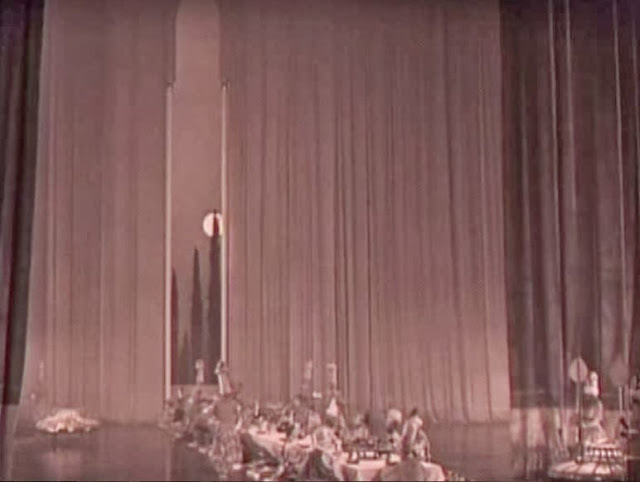 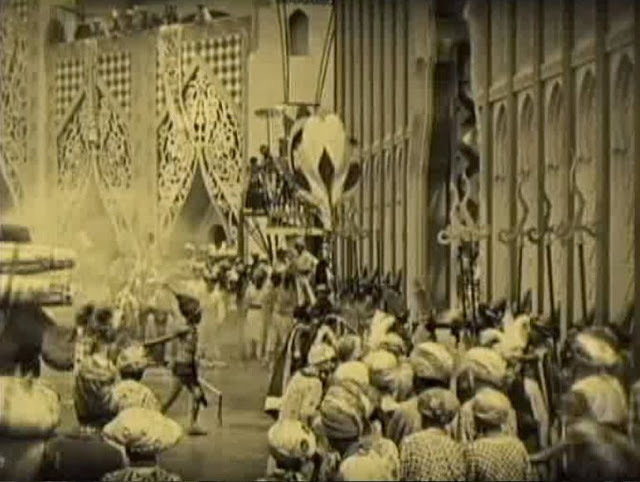 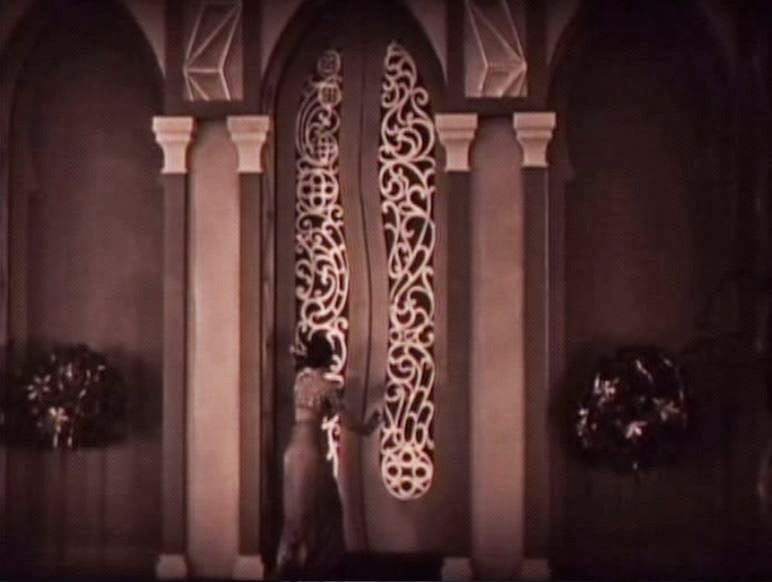 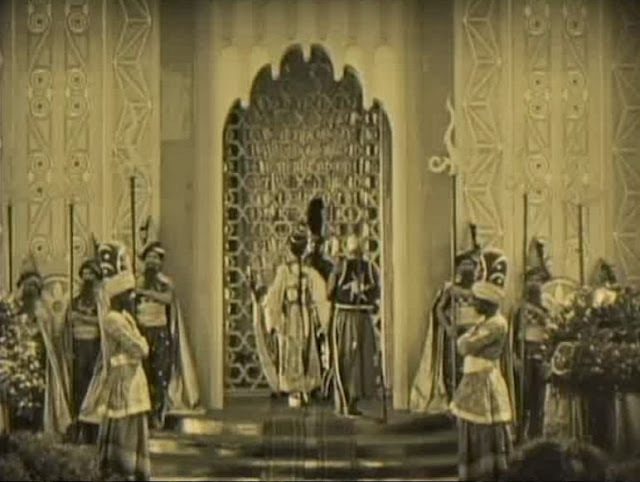 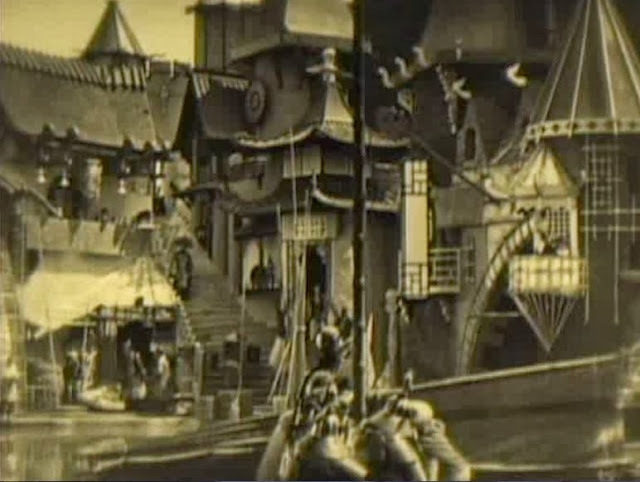 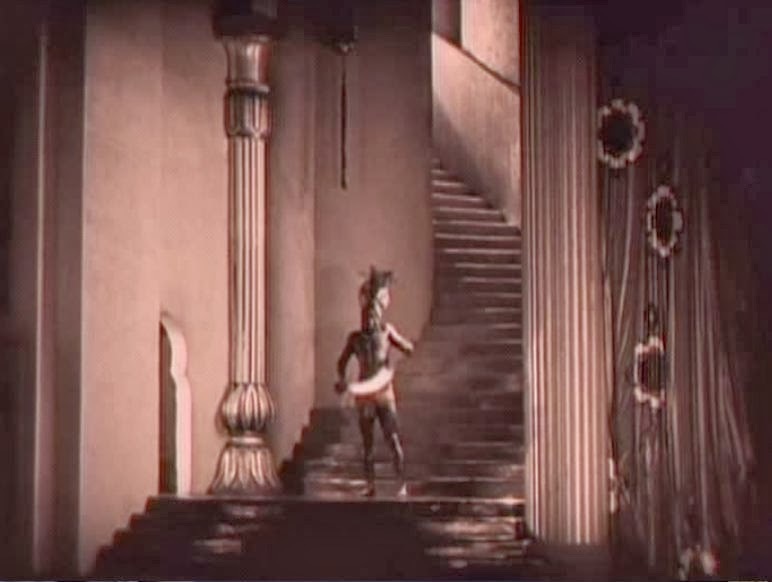 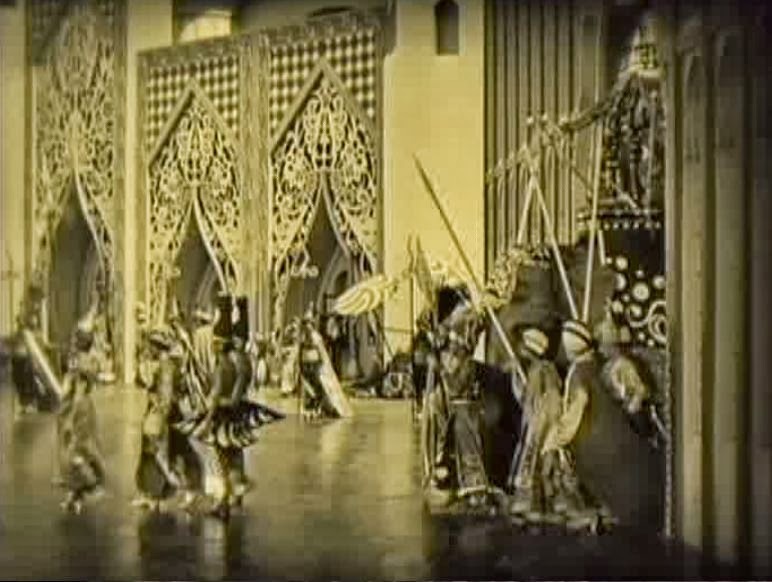 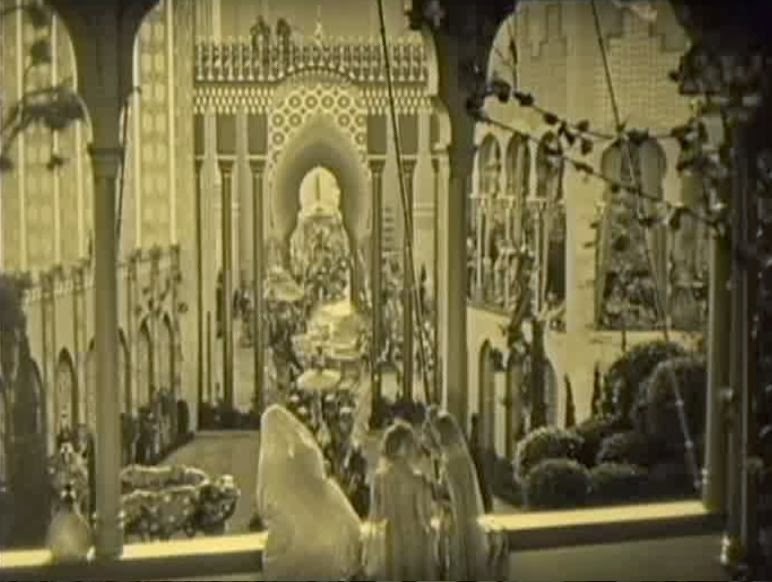 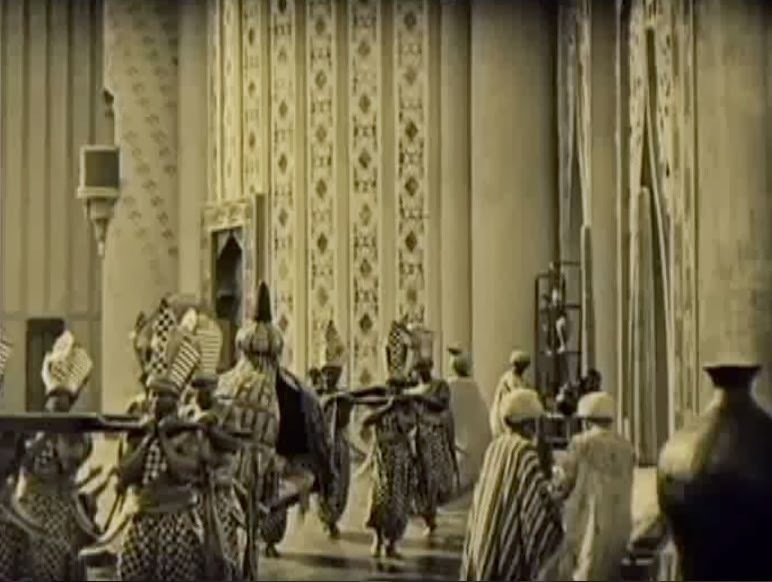 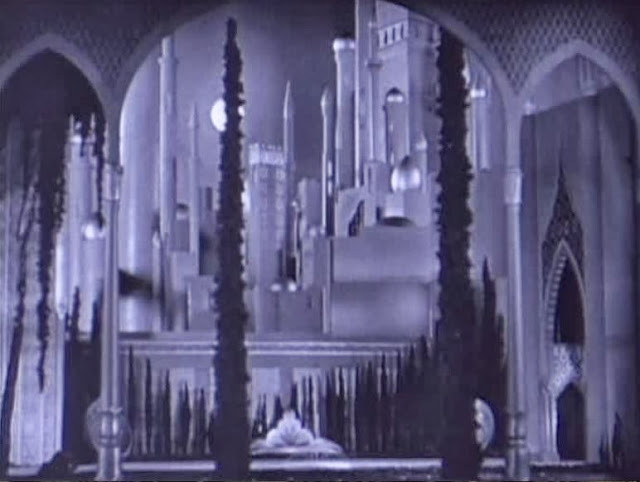 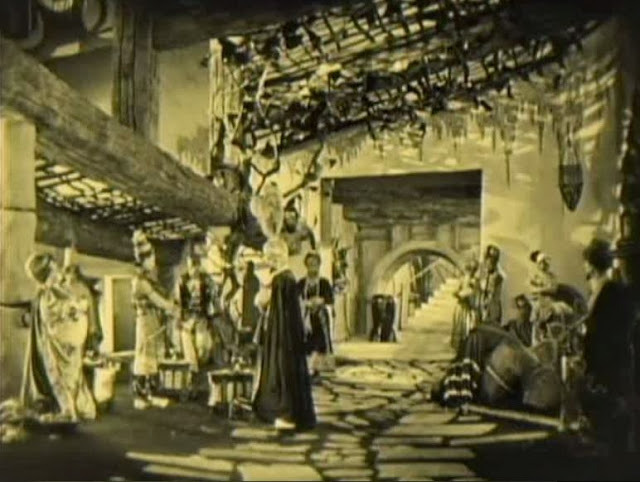 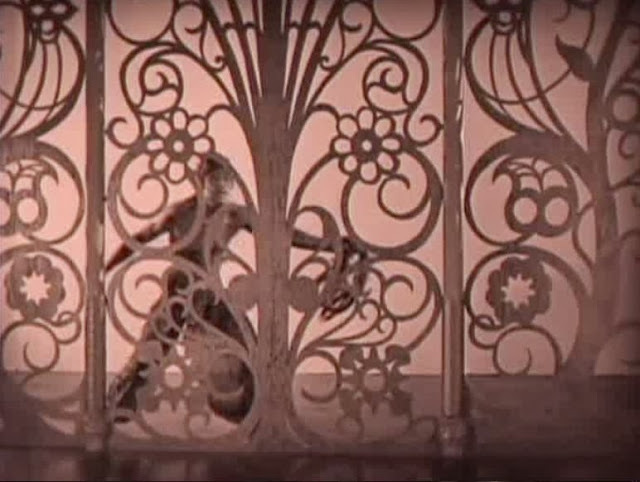 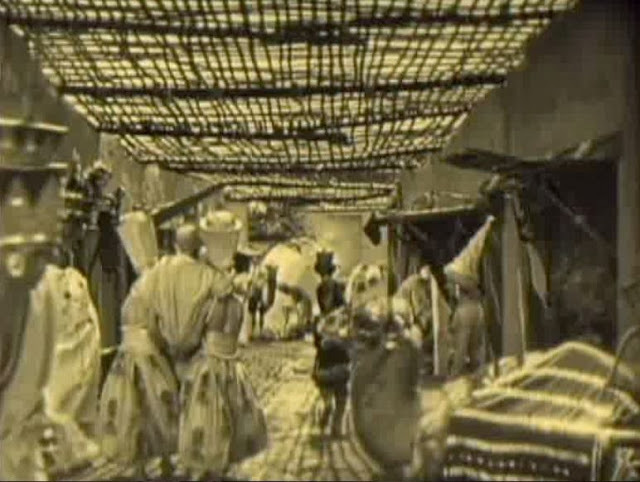 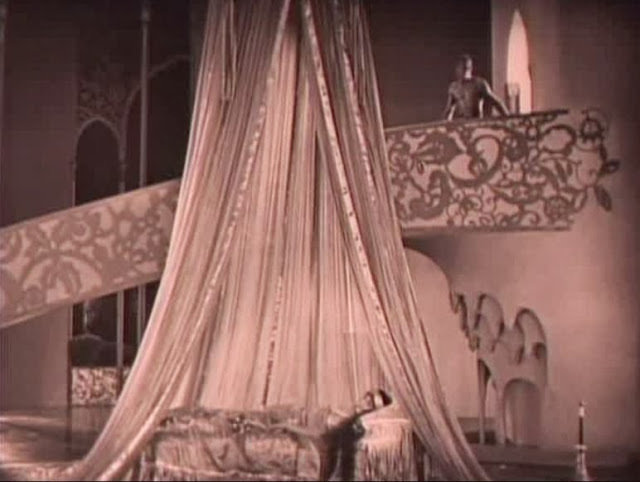 The sets occupied six and a half acres (including re-workings of Nottingham Castle from the 1922 Robin Hood), at the Pickford-Fairbanks Studios, and helped make this the most expensive production ($1,135,654!) 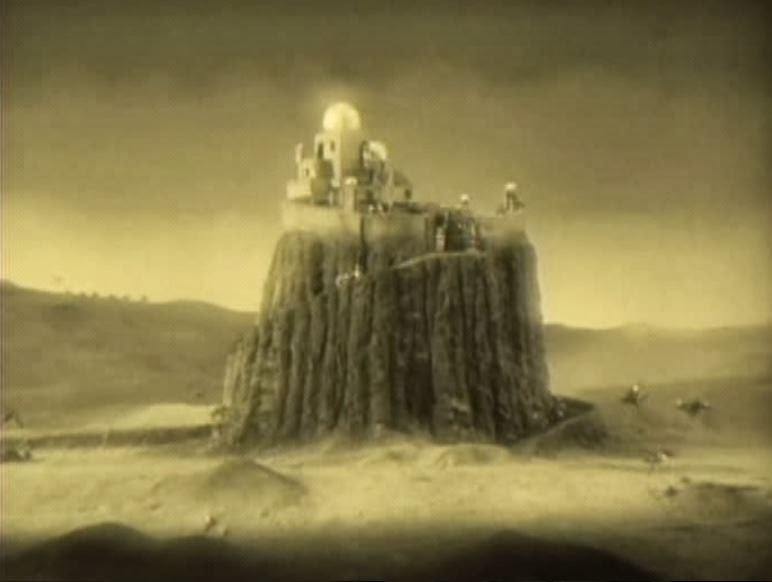 of its time. 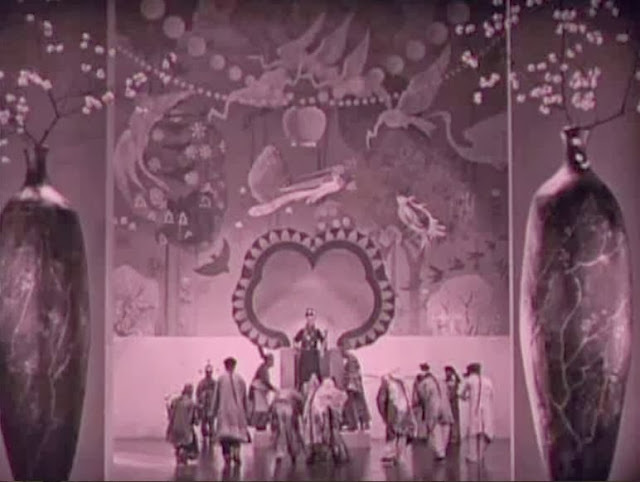 Menzies integrated the curvilinear bio-morphism of Art Nouveau with the geometric patterns of a nascent Jazz-Age Art Deco into an mesmerizing and immersive whole. The place may not be "real", but as hypnotic and enchanting tales go, it's as transporting as anything Scheherazade may ever have told.